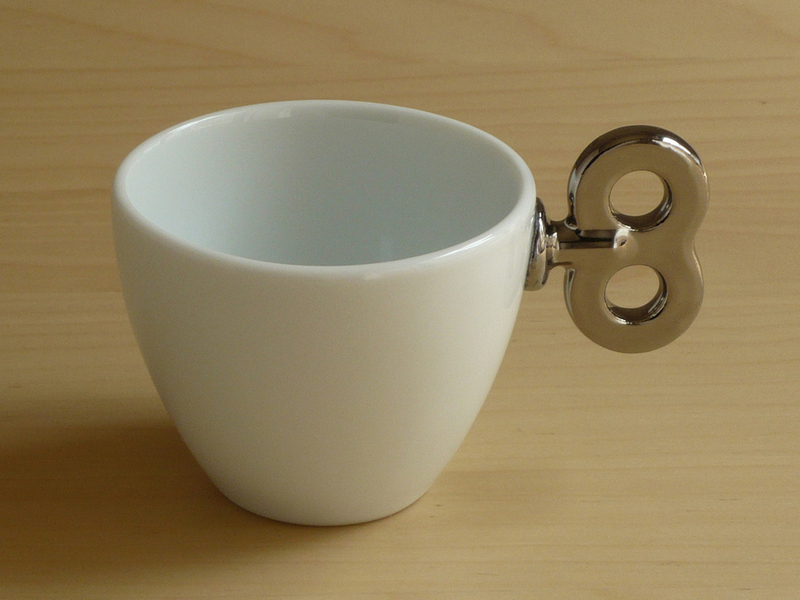 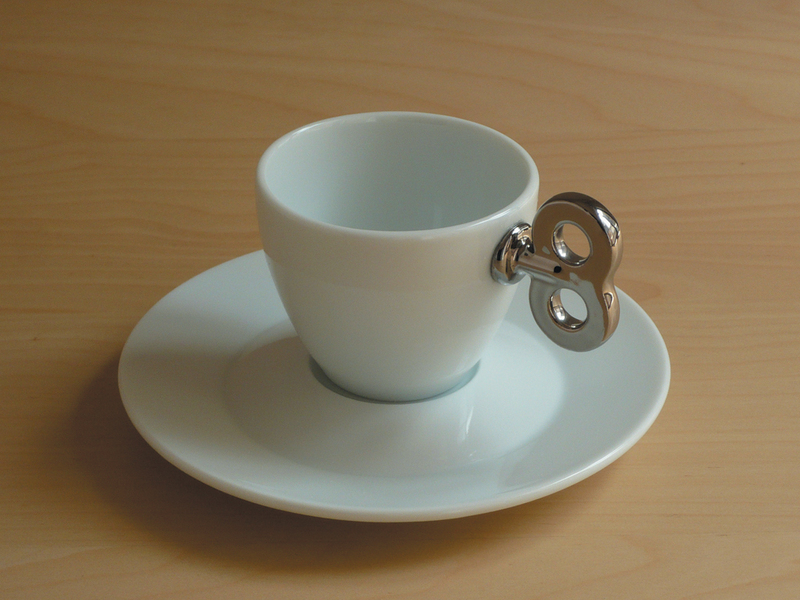 Demitasse cup with a grip formed into wind-up. 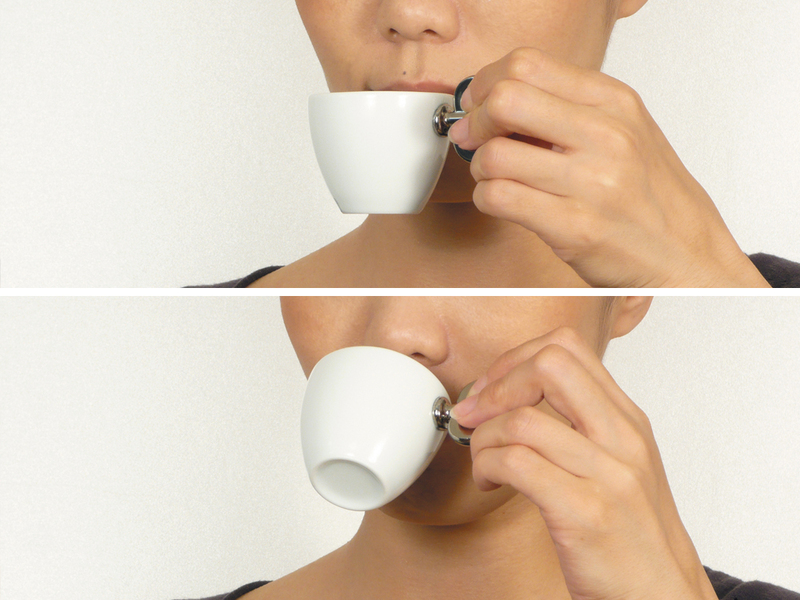 Drinking looks like winding up spring. 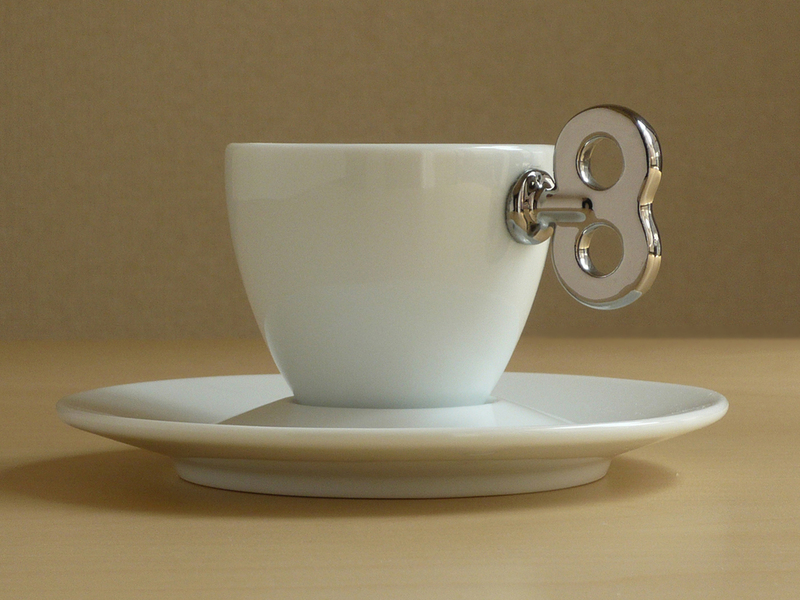 A coffee break charges the power for brain. 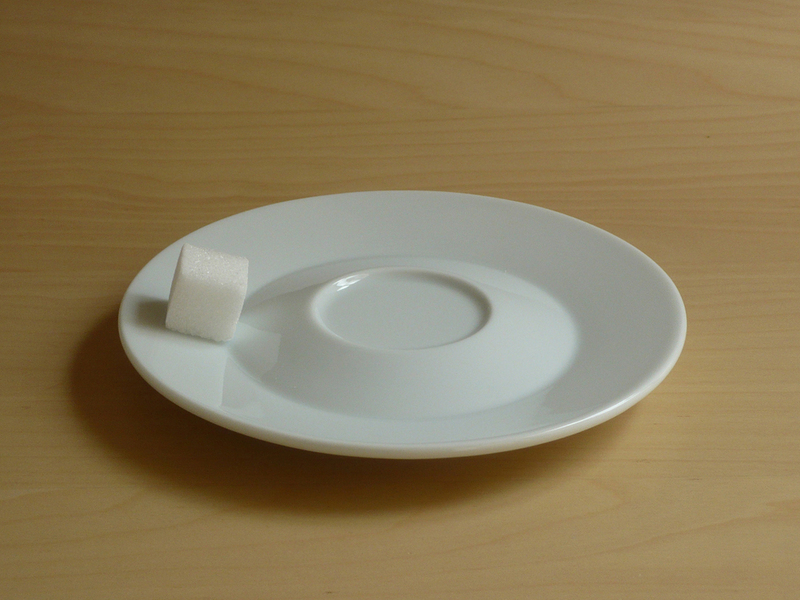 The saucer has a circular valley, a lump of sugar an teaspoon fits in it.